Settled amid the tranquility of paddy fields, Furama Xclusive Villas & Spa Bali Hotel is ideally placed in the city of Bali. Located in Ubud, just 40 minutes from Bali’s International Airport in Kuta, where the culture is nurtured and cultivated in spirit. The Furama Xclusive Villas & Spa Bali Hotel comprises of 18 stylishly modern villas on a magnificent 70-metre lagoon, completed with sun-decks with options of a personal outdoor whirlpool bathtub as well as a dedicated spa therapy area. 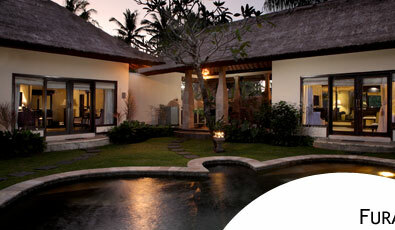 All hotel villas at Furama Xclusive Villas & Spa Bali Hotel are spacious with modern interior designs. Consist of 14 villas completed with a magnificent 70-metre long natural spring water pool for guest enjoyable to sunbathing. It offers guests a front hall with a verandah, a large bedroom area and vanity, ample bathroom space with a bathtub and standing shower stall. There is also an outdoor dip pool subtly concealed behind a bamboo wall for guests to enjoy a little privacy should they so desire. The pool is connected to the main lagoon and this is where guests can bask in the grandeur of the resort design. Consist of 4 villas which are built as exclusive duplexes with a unique architectural twist in the form of a bell-shaped roof. Each Spa Pool Villa covers a land area of 200sqm and comes equipped with a personal outdoor whirlpool bathtub and a dedicated therapy area where guests may receive their massage treatments in the comfort of their own villa. With such exquisite personal villas, a personal butler service just about completes the dream getaway. 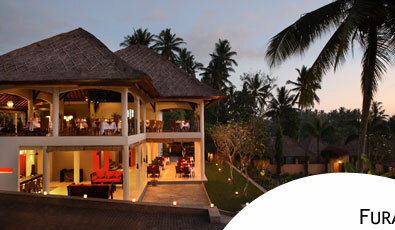 Indulge in a range of dining choices at Furama Xclusive Villas & Spa Ubud. 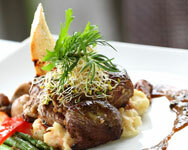 A comprehensive in-villa dining menu is available for guests’ selection. 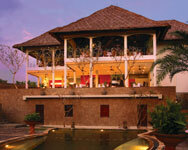 There is also the Lagoon Pool Bar and Bar & Bistro Suling, where guests can order drinks and light snacks. Furama Villas and Spa is situated at Ubud, about 45 minutes drive from Bali’s International Airport in Kuta only 20 minutes to art and shopping center in Ubud, surrounded with abundant rice paddy field and tranquil atmosphere. With natural spring water being an abundant resource here, all guests can enjoy the simple luxury of soaking in their private plunge pools, or taking a dip in the main pool or lagoon. A variety of activities are also available for guests’ recreation. Comprised of 24 villas – 19 Deluxe Pool Villas and 5 Royal Pool Villas, Furama Villas and Spa will serve you with spacious and comfortable accommodation with excellent service by an attentive team. 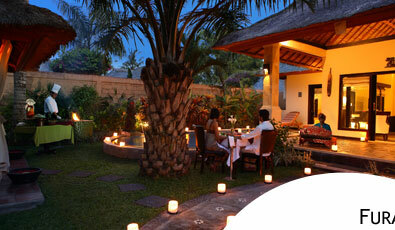 All 24 villas at the Furama Villas & Spa Ubud allow guests to relax and let your hair down in privacy. Be it a one-bedroom villa for couples or a two-bedroom compound for friends and family, this all-villa property is designed to let guests indulge in a well-deserved retreat to recharge and rejuvenate. Perfect for guests who love being close to nature. Simple yet tasteful furnishing creates an idyllic atmosphere that blends with the overall feeling of well-being while guests enjoy the tranquility of the surroundings. 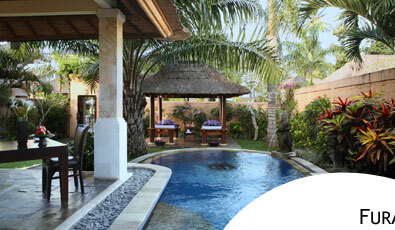 Little luxuries like the private plunge pool and gazebo for in-villa massages are for guests’ daily indulgence. Fashioned in a similar rustic style as the Deluxe Pool Villa, this villa type has a larger compound and houses two separate villas. The natural spring water pool is a common facility and an added patio encourages relaxing evening chats and in-villa dining. 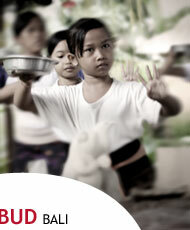 Indulge in a range of dining choices at Furama Villas & Spa Ubud. Padi Restaurant offers a panoramic view of the expanse of padi fields around the resort grounds and of sister property, FuramaXclusive Villas & Spa Ubud. Whilst guests may choose to bask in this breathtaking sight during mealtimes, the alternative is to spoil oneself by dining in-villa. 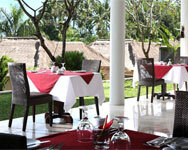 A comprehensive in-villa dining menu is available for guests’ selection. There is also the Bar & Bistro Suling, where guests can order drinks and light snacks. A comprehensive list of pampering spa treatments has been created to take care of your overall well-being and relaxation. Enjoy the spa treatments in the comfort of your own villa, or in the spa retreat by the main swimming pool.